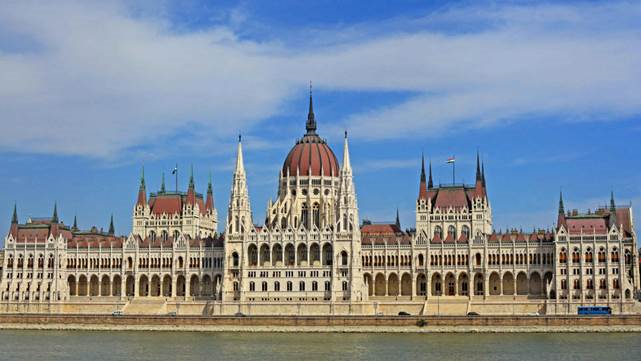 Separated by the big Danube river, with Buda on the west side and Pest on the east side, this dynamic city has earned nicknames like ‘Heart of Europe’, ‘Pearl of the Danube’, and ‘Capitol of Freedom’. It was the third time for me in Budapest and every one it is a fantastic surprise, new place to see, to love and to discover. In this post you will find a simple guide relative to the places that you must visit if you have tog just a few days. 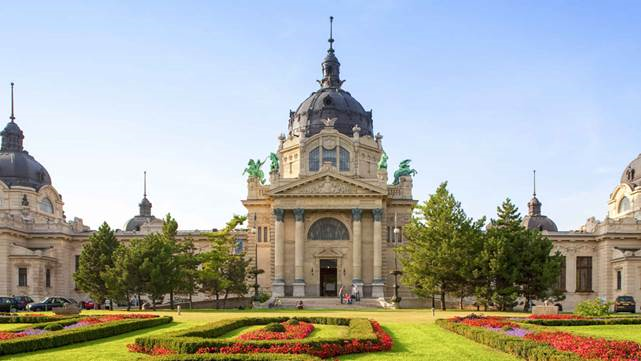 While it’s fairly easy to get around on foot, some of the more popular attractions are spread across the city, so unless you’ve got plenty of time and like exploring on foot, the best way to explore Budapest is on the tram or taxi too, it is really not expensive. The Chain Bridge (Széchenyi Lánchíd in Hungarian), is the oldest bridge and no doubt the best known of Budapest. To connect the two parts of the city, it was chosen the solution of a suspension bridge whose central span between two pylons, was at that time among the largest in the world (202 m long). The bridge entrance is decorated by statues of lions, sculptures, in spite of tradition, are the king of the animals without language. The traffic flows under two arches / of neoclassical pillars, while the sidewalks, at the two poles, pass from the outside of the arches leaning on shelves. 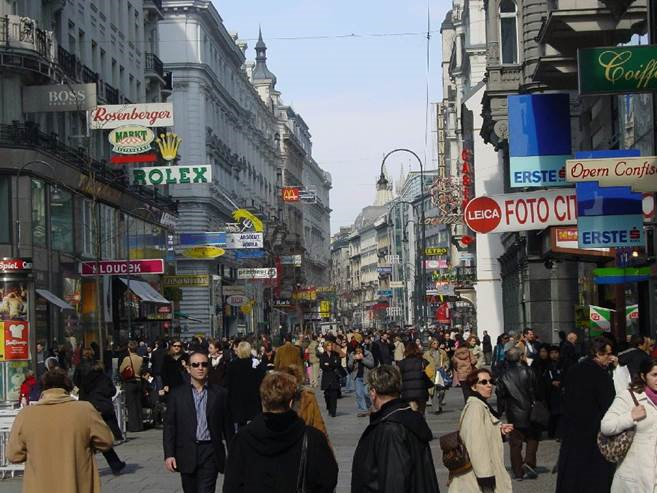 It is transformed into a pedestrian zone on holidays. 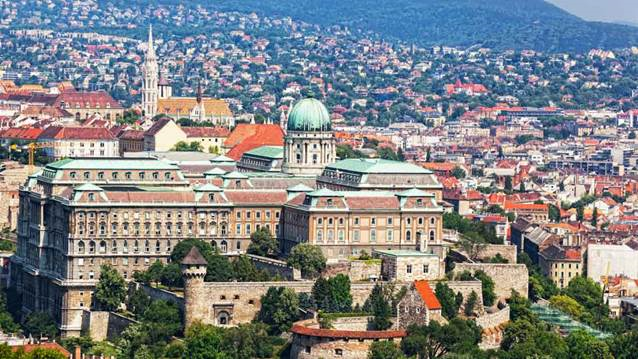 Buda Castle (Hungarian: Budavári Palota) is the historical castle and palace complex of the Hungarian kings in Budapest, and was first completed in 1265. 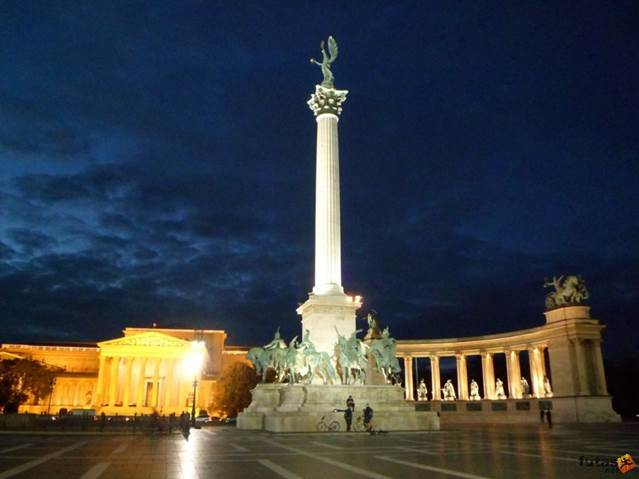 Heroes’ Square (Hősök tere, 1896) is the largest and most impressive square of the city. 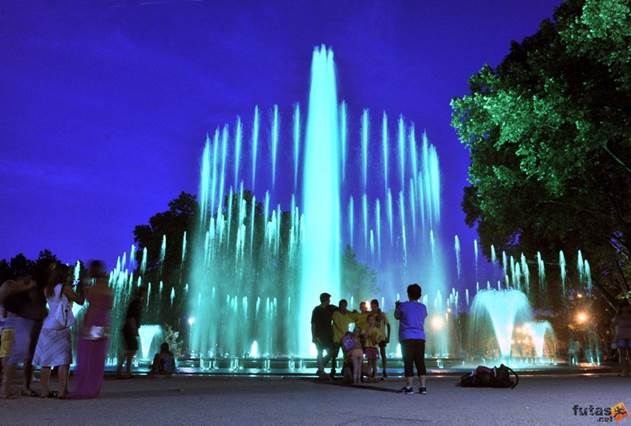 Located at the end of Andrássy Avenue and next to City Park, Heroes’ Square is one of the most visited sights in Budapest. Surrounded by two important buildings, Museum of Fine Arts on the left and Kunsthalle (Hall of Art) on the right, Heroes’ Square is also a station of the Millennium Underground. 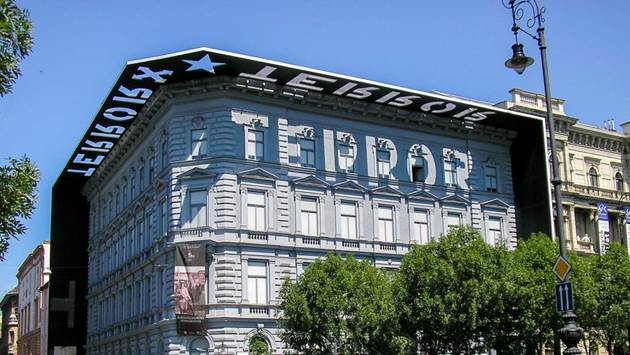 House of Terror is a museum located at Andrássy út 60 in Budapest. 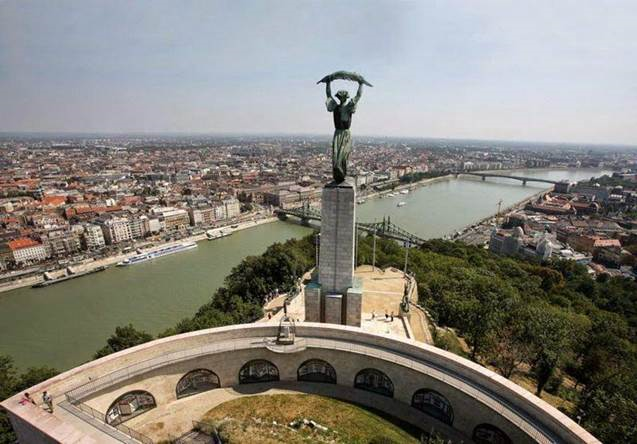 It contains exhibits related to the fascist and communist regimes in 20th-century Hungary and is also a memorial to the victims of these regimes, including those detained, interrogated, tortured or killed in the building. 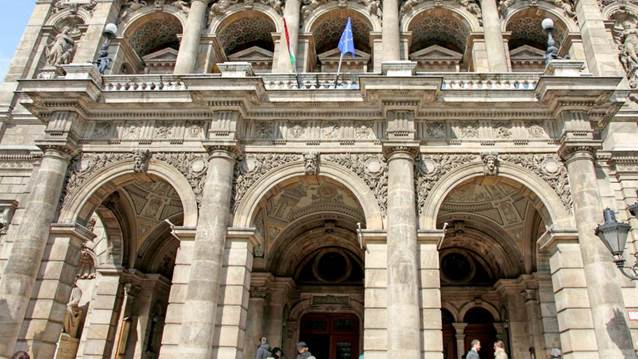 Hungarian State Opera House (Magyar Állami Operaház in Hungarian) is one of the greatest examples of neo-Renaissance architecture. Andrássy Avenue, recognized as a World Heritage Site, was built to connect the city center with City Park (Városliget). Construction began in 1872, and the avenue was inaugurated in 1885. Its Eclectic Neo-Renaissance palaces and houses were built by the most distinguished architects of the time. Aristocrats, bankers, landowners and noble families moved in. The iconic avenue was named after Prime Minister Gyula Andrássy, a key advocate of the project. 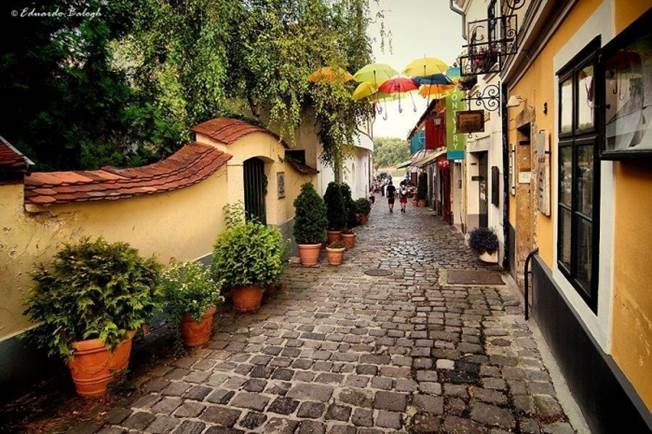 Andrássy Avenue is great for walks alongside the beautiful turn-of-the-century buildings or people watching in one of the many cafés. It’s a long avenue, however the Millennium Underground Railway runs beneath it, should you feel tired. The State Opera House is one of the most famous tenants on Andrássy, but the avenue is also home to many upscale boutiques, including Louis Vuitton, Ermenegildo Zegna, Burberry and Gucci, and to several other attractions. The historic Matthias Church (Mátyás-templom) is over 700 years old. The church was the scene of several coronations, including that of Charles IV in 1916, the last Habsburg king. 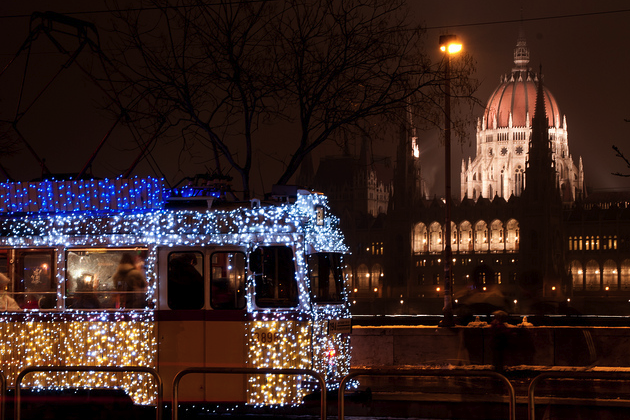 It was also the venue for the great Hungarian King Matthias’ two weddings, hence its name. Every year, the church hosts several concerts featuring Hungarian and foreign musicians. 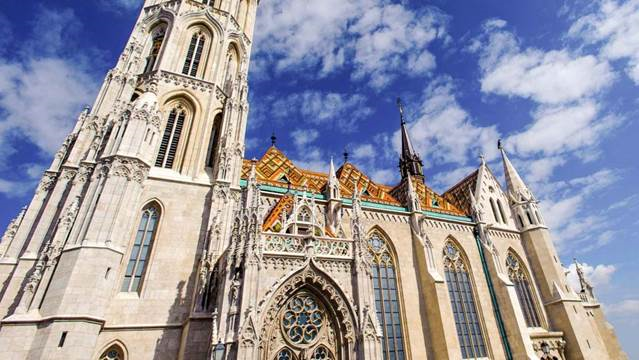 One of the most popular concert series is called the “Sunday Organ Nights at the Matthias Church”. 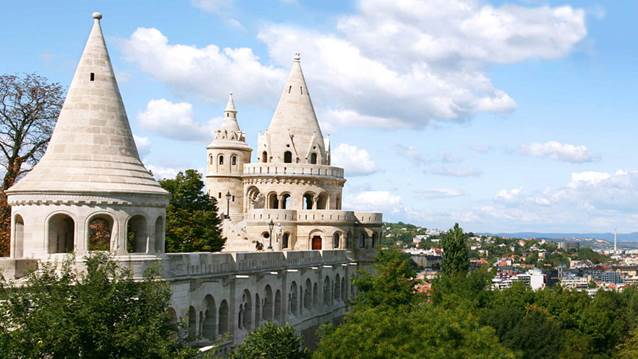 Margaret Island is an island in the Danube, 2,500 meters long, 500 meters wide, with an area of about 96 hectares, is green island in the heart of Budapest. 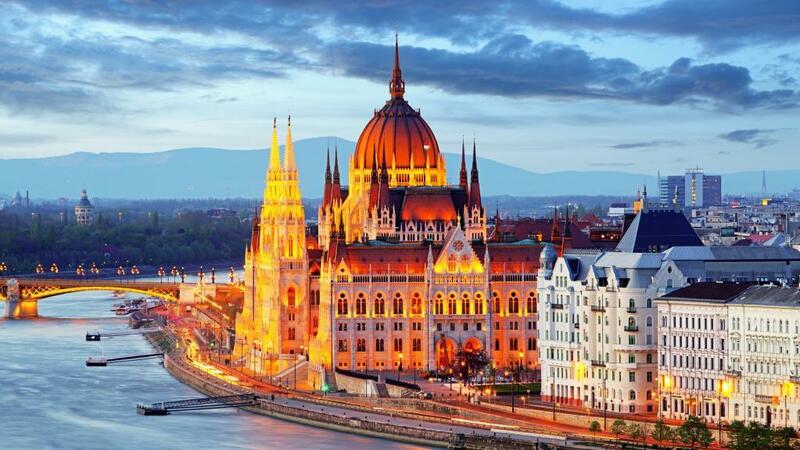 Surely it is one of Budapest’s attractions to see. The island is mostly occupied by a crowded park in the summer months, a favorite place on weekends for picnics. There you can also visit the ruins of the Dominican convent and a Franciscan church. Do not miss the small zoo, a rose garden and the rock garden. On the island there are also several sports facilities, including a running track and an outdoor swimming pool Palatinus. One of the largest bath complexes of Europe in Budapest. Healthcare and wellness services in 21 pools. Saunas, aquafitness, aerobics, gym. Budapest Christmas Fair and Winter Festival perfect if yoyu want to buy something unique and original for your XMas gifts. 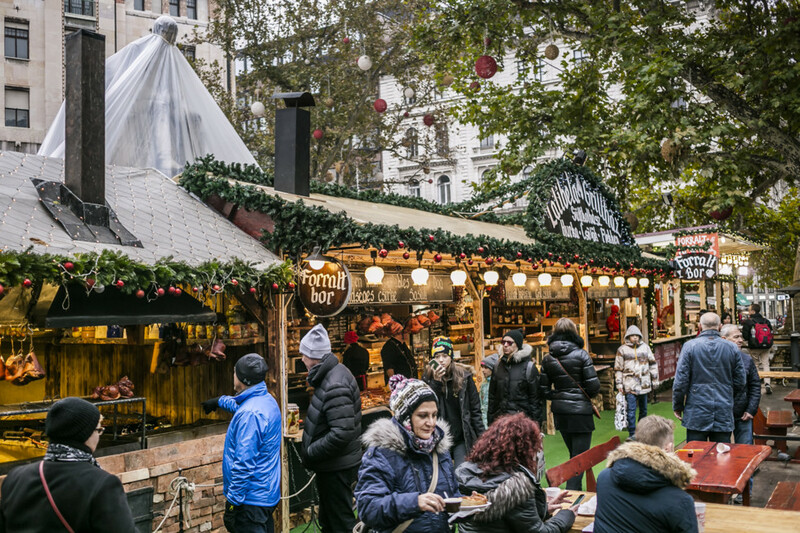 From 11 November 2016, Vörösmarty Square, a lovely plaza in the heart of the city, turns into a festive market place. 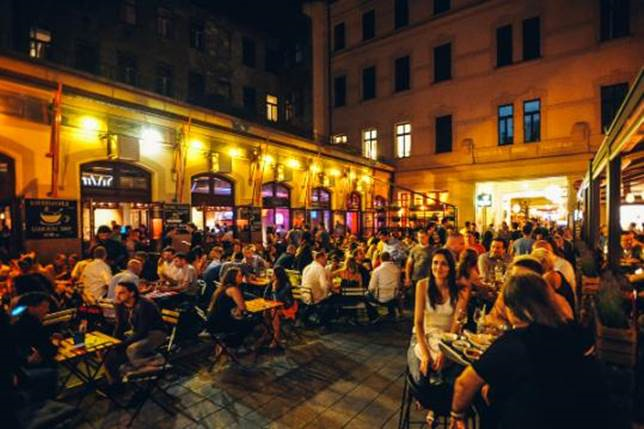 Cottage-style wooden stalls and two outdoor stages take over one of Budapest’s most attractive spots during the couple of weeks preceding the end of the year holidays. You can smell the scent of traditional honey cookies, mulled wine, cinnamon and fir from afar and enter in the Christmas atmosphere. Mai stata, ma credo sia da vedere!! Ottima post! Un bacione!! che meraviglia! mi viene voglia di partire!